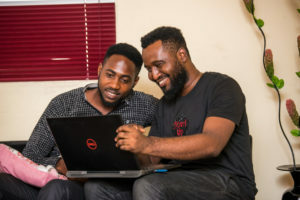 Our cohort 10 boot camp came to a fulfilling ending on Thursday, April 04, 2019 with the Coding Demo Day. Our graduands showcased various web applications they developed from scratch within the boot camp time frame, having turned their ideas into digital reality to demonstrate their proficiency in the skills they have acquired. Mypayview is an Escrow Service application developed to act as a trusted third party that collects, holds, and disburses funds when both a buyer and the seller are satisfied with their business terms with the aim of increasing the assurance of payment in a business transaction. Fitaz Community is a Socializing site to connect people who love to get involved with fitness activities (jogging, cycling, indoor fitness training). Based on interest, the web app is divided into three modules, firstly people who are interested in joining a local fitness group created on the platform, secondly people who are only interested in contacting a fitness trainer and lastly people who wish to get information about fitness centres closest to them. If you are thinking of having an accelerated career path in the software development industry, think Moat Academy!